Pasternack has introduced a new line of skew matched cables for use in high-speed digital tests of 10 Gbps to 28 Gbps, including differential signals, bit-error-rate testing and eye diagrams. The new line of skew matched cables is made-up of three new models that are extremely flexible and have 1 ps delay match. These cables deliver an excellent VSWR of 1.4:1 and are 100% tested for skew match. They also include polarity indicators and restraint bands to keep themselves paired up. These delay matched cables operate from DC to 40 GHz, covering two channels with 50 Ohms nominal impedance. They are made of a micro porous PTFE cable dielectric and feature triple-shielded outer conductors, 2.92 mm male connectors and finger-grip coupling nuts. 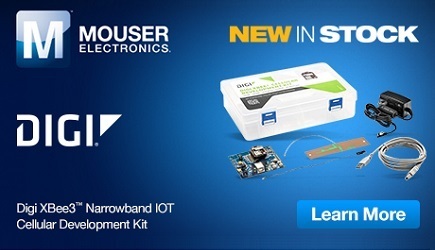 They are ideal for networking, semiconductor testing and supercomputing industries where skew match is important. 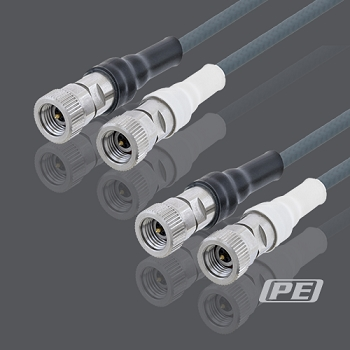 The skew matched cable pairs perfectly complement Pasternack’s existing line of high-speed vertical and end launch connectors. They are extremely flexible while providing exceptional performance, plus can be shipped out right away.